Who are these end-time representatives of God predicted in Revelation? What will they do? Why are there two witnesses? Why will people rejoice when they die? 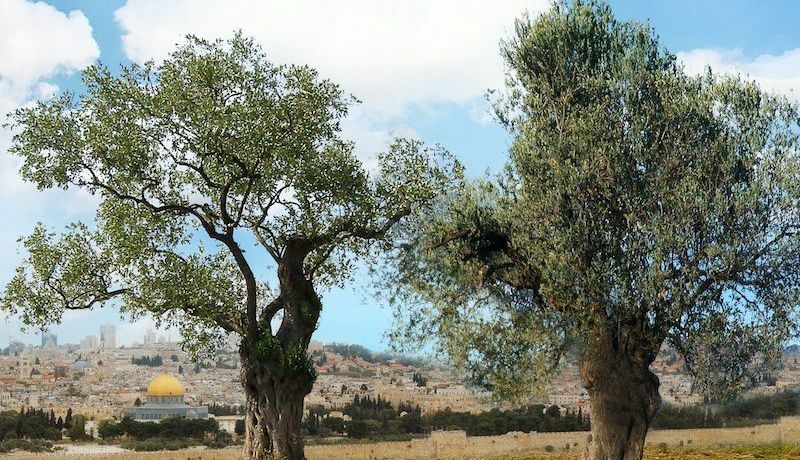 Zechariah saw two olive trees in his dream, which God explained "are the two anointed ones, who stand beside the Lord of the whole earth” (Zechariah 4:14). In the book of Revelation, God says: “And I will give power to my two witnesses, and they will prophesy one thousand two hundred and sixty days, clothed in sackcloth” (Revelation 11:3). There is much speculation about who these two representatives of God will be and their 3½-year ministry. Let’s see what the Bible—the only one true source of information on the subject—says about these special individuals. The passage in Revelation goes on to explain, “These are the two olive trees and the two lampstands standing before the God of the earth” (verse 4). This statement seems to be a continuation of a prophecy God gave the prophet Zechariah to show that God accomplishes things through the power of His Spirit (Zechariah 4:2-10). Olive oil symbolizes God’s Holy Spirit, and God encouraged Zerubbabel—the one who led the rebuilding of the temple—to remember that spiritual things would be accomplished by God’s Spirit and not by his own doing (verse 6). After explaining this important principle about how His work is done, God then returned to the vision of the olive trees Zechariah had seen: “These are the two anointed ones, who stand beside the Lord of the whole earth” (Zechariah 4:14, emphasis added throughout). In the book of Revelation God reveals that these two individuals, who will be full of God’s Holy Spirit in order to do His work, will arise prior to Christ’s return to fulfill their ministry as a light to the world. Just as God accomplished things through the power of His Holy Spirit during the time of Zerubbabel, He will do the same through His two witnesses during the end times. Through the years, many explanations regarding the two witnesses have been proposed. Previous prophets are often cited as biblical types of what the two witnesses will do. Expositor’s Bible Commentary says, “Identifications range all the way from two historic figures raised to life, to two groups, to two principles, such as the law and the prophets. Tertullian (d. 220) identified the two with Enoch and Elijah” (comments on Revelation 11:3). While we’ve already seen that Elijah’s powers to stop the rain and kill those who attempted to do him harm were a forerunner of the powers that the two witnesses will have, there is still another reference to Elijah to consider. This passage shows that God can send additional representatives, such as John the Baptist, with a similar ministry and powers as the prophet Elijah. Sometimes prophecies can have multiple fulfillments, and this prophecy regarding the work of Elijah seems to be one that falls in this category. John the Baptist was clearly a type of Elijah, and the account in Malachi 4 indicates that another “Elijah” will arise at the end of this age. As for the identity of this end-time Elijah, Scripture indicates that an Elijah-like message to repent and obey God will be preached by the Church of God (Matthew 24:14; 28:19-20) and by the two witnesses as they complete their ministry with Elijah-like powers (Revelation 11:5-6). The explanation of the two witnesses that seems to best fit the Scriptures is that they will be two humans who will prophesy in the spirit and the power of Elijah during the Great Tribulation and Day of the Lord. They will come to warn the world to repent of breaking God’s laws and will call for plagues as punishment for disobedience during the 3½ years of their preaching. One tool used to understand prophecy is the type-antitype principle. The account in Exodus 7:10-12 provides a preview of things to come at the time of the two witnesses. It begins with the first of several encounters between Moses and Pharaoh. Under Moses’ direction, Aaron threw down the rod and it became a snake. The magicians (Jannes and Jambres) also did the same thing with their rods (Exodus 7:11-12). Water was turned to blood, and the magicians did the same thing (verse 22). These miracles were performed in the presence of Pharaoh. Why will the world rejoice over their deaths? Most in the world will not like their message of repentance. People do not want to be told that what they are doing is wrong, that they are sinning and need to change. They will be angry because of the plagues being brought on them as punishments for not repenting of their sins, and they will blame the two witnesses for the torment so many will suffer. To learn more about how to further your relationship with God, see the “Change” section of this website. We are also always pleased to receive questions and input from our readers. A form for sending an email is conveniently located below.